Der Bürgerverein Kolonnadenviertel lädt zu einem weiteren historischen Vortrag ein. Das in der Stadtbibliothek im 1. 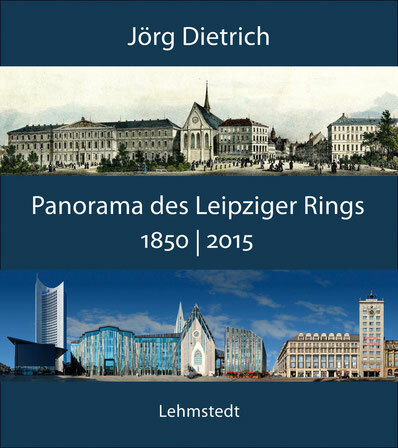 Halbjahr 2015 gezeigte Panorama von 1850 aus der Biedermeierzeit wurde einem fotografischen Panorama von Jörg Dietrich aus dem Jahre 2015 gegenübergestellt. Die Zwischenstufen dieser städtebaulichen Entwicklungen am Leipziger Promenadenring sind Gegenstand des Vortrags. Das Buch von Jörg Dietrich kann am Abend erworben werden. Außerdem können Sie an diesem Abend für 13 Euro auch unseren Kalender 2016 „Berühmte Persönlichkeiten im Kolonnadenviertel“ kaufen. Hey I am so grateful I found your blog page, I really found you by error, while I was looking on Yahoo for something else, Regardless I am here now and would just like to say kudos for a incredible post and a all round interesting blog (I also love the theme/design), I don't have time to browse it all at the minute but I have saved it and also added in your RSS feeds, so when I have time I will be back to read a great deal more, Please do keep up the great work. A fascinating discussion is worth comment. There's no doubt that that you should publish more on this subject matter, it may not be a taboo subject but generally people do not discuss such subjects. To the next! Kind regards!! Terrific post but I was wondering if you could write a litte more on this topic? I'd be very grateful if you could elaborate a little bit further. Bless you! My programmer is trying to convince me to move to .net from PHP. I have always disliked the idea because of the expenses. But he's tryiong none the less. I've been using Movable-type on a variety of websites for about a year and am worried about switching to another platform. I have heard great things about blogengine.net. Is there a way I can transfer all my wordpress content into it? Any help would be really appreciated! Usually I don't learn article on blogs, however I would like to say that this write-up very pressured me to take a look at and do it! Your writing style has been surprised me. Thanks, very nice article.